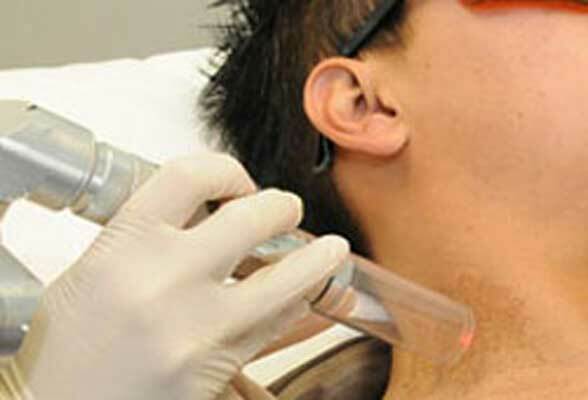 Laser Birthmark removal treatment is for those who want to get rid of their birthmark. This process can be performed at any age and the color, size, shape and intensity of the birthmark determines the course of the treatment. However, it’s important to take the doctor’s appointment in advance and discuss the need of birthmark removal with him, its benefits and risks, if any, some other means to get rid of it. Generally, a dermatologist or a cosmetic surgeon is the best expert to treat this. In this process, a high energy laser is used to clear the marks as it causes the blot to shrink and stop growing. A birthmark is a splotch on our skin, which can appear in a variety of colours, shapes and sizes. While some birthmarks are small and inconspicuous, others have a more prominent appearance, which can be bothersome to some, and can even lower one’s self-esteem. In some cases, certain types of birthmarks can become a health risk. Some birthmarks do fade or completely disappear over time, however, there are others that will never fade or go away. Birthmark removal offers a solution to people who are self-conscious about their appearance and help reduce the possibility of health risks associated with certain moles. These are caused by abnormal development of blood vessels and are almost always present from birth. Port-wine stains, a very common birthmark, are a type of vascular malformation and can be found anywhere on the body. These can be identified as flat birthmarks that are pink-red at birth and darken to a red-purple colour after several years. Port-wine stains do not fade or go away. These birthmarks may be a concern if located on the face above or around the eye because they may be associated with eye and/or brain problems. These can include various types of birthmarks including moles (congenital nevi), Coffee-cream spots, and Mongolian spots. Mole is a nonspecific term for nevus, which is a pigmented skin spot. While most moles pose no health risks, some large nevi may have cancerous effects later on during one’s life. Coffee-cream spots are caused by too much pigment in the skin. They do not fade away, but do not require treatment. Mongolian spots are flat, slate blue-grey patches commonly found in children. These birthmarks usually disappear when children reach school age. These can be removed with the laser. These are very thin, light pink, flat patches of discoloration. These are usually found on babies, either on the back of their neck, or on their upper eyelids. Most of the salmon patches on the eyelids disappear during the child’s first year, while most of the ones found on the neck do not. These are lesions that develop on infants within a couple of weeks after birth. These are caused by many tiny blood vessels that are bunched together and can grow quite rapidly during the child’s first six to nine months. These are the most common tumours found in babies and usually develop around the head and neck. Some haemangioma will grow on internal organs, like the stomach, liver, intestines, or kidneys. These can be identified with discolorations in the skin. Some disappear within a few months after birth, while most take years before they disappear or fade. Please consult with a physician about these conditions. If you need more information or would like to schedule an appointment for a consultation, please contact us. We will be pleased to assist you further.